Dr. Pink and colleagues dental partnership is dedicated to a philosophy of aesthetic, biocompatible, minimally-invasive, preventive dentistry. Our patients and keeping their teeth healthy are at the focus of all our treatments. 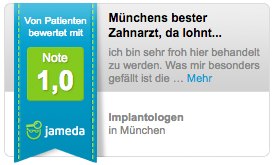 Located in the heart of Munich, our dental practice offers the full treatment spectrum of modern dentistry. We specialise in cosmetic dentistry such as tooth whitening and veneers, endodontology (root canal treatment), implantology, periodontology, prophylaxis and prosthetics. Dr. 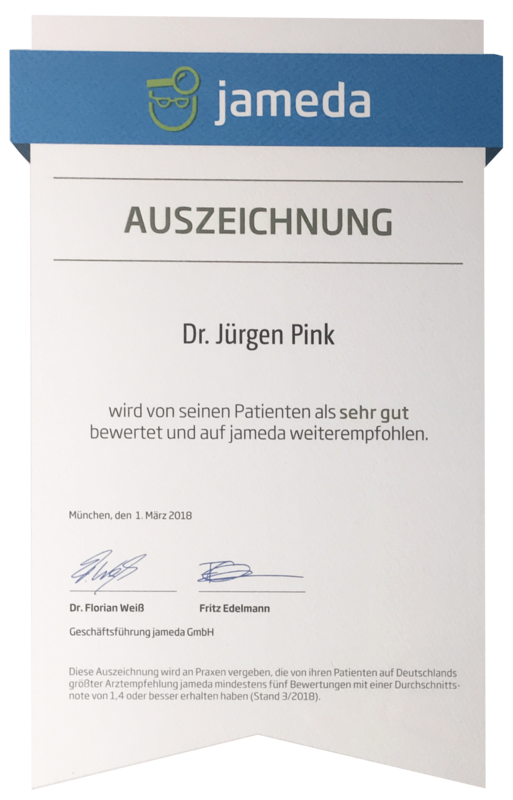 Pink & Dr. Lutzenberger are continually advancing their skills through professional training with each of them certified in slightly different treatment fields. Dr. med. Dent. Jürgen Pink focusses his attention on cosmetic dentistry. Natural, gentle tooth whitening methods and veneers are his passion. Paper-thin ceramic-blend veneers are used to bring teeth that are still intact but discoloured, badly formed or set too widely apart back into shape. Dr. Pink uses metal-free prosthetic fittings such as ceramic inlays and crowns to treat teeth with cavities. “After treatment the patient shouldn’t be left feeling that she has unnatural substances in her mouth, but rather that her teeth form part of her natural beauty.” says Dr. Jürgen Pink. 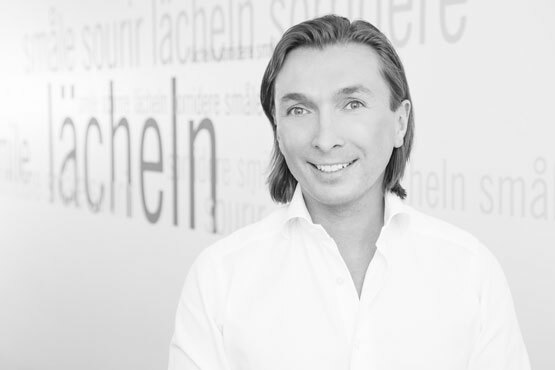 Despite his eye for aesthetics, quality is the utmost priority in cosmetic treatments. 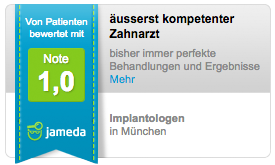 The practice founder also counts implantology among his specialist fields. Missing teeth should always be replaced with implants to maintain the form and function of the jaw. This involves embedding a titanium pin in the jaw bone and then affixing a custom-cast crown. As long as implants are looked after with proper oral hygiene they can last a lifetime, and look and feel no different to natural teeth. At max34 we pride ourselves on being at the cutting edge of modern dentistry. We regularly update our skills with further and professional training in dental hygiene, deep cleaning, practice management and emergency treatment. Our dentist team share this vision and regularly attend specialist seminars to advance their knowledge or undergo certified training in new treatment fields. We also aim to keep our patients informed on the latest news in the dental field and important tips for oral hygiene. “What should I do in a dental emergency”, “Help, my partner snores” or “Correct oral hygiene for all age groups” are just some of the topics on our NEWS page. A holistic approach incorporating all the possibilities of modern dentistry, is the core competence of Dr. Pink and colleagues dental practice. But while innovative methods and high-tech medicine play an important role, no scientific advancement can replace the expertise, precision and empathetic attitudes of our two dentists. We take time for our patients, prioritising individual therapy plans and efficient scheduling so that every patient leaves our practice with a radiant smile.